What is it? Why just the cutest gift that anyone could possible want. 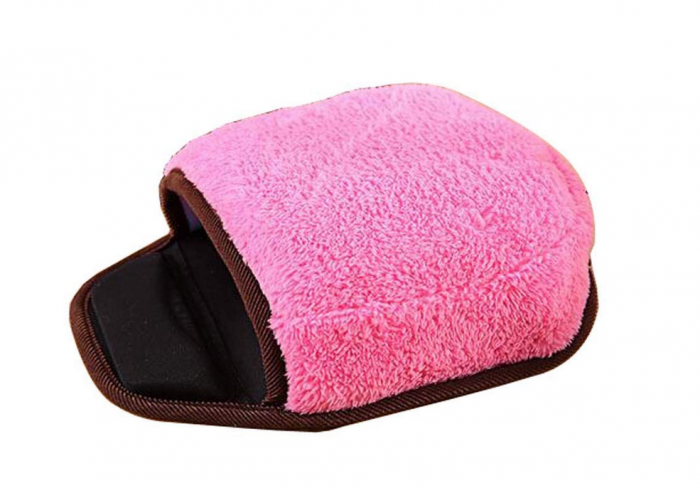 Its a USB heated mouse pad hand warmer in Warm Winter Pink for only $17.97. I wish that I was either back in Canada or the the US so that I could order this. I think it is a unique gift idea at a great price. Click here for the Amazon details. Resting while on a short hike in the US and enjoying some Dairy Queen soft serve back home. That was one of their favorite treats, although in the last years of their lives they weren’t able to have any. Nice pictures and memories of the girls. The mouse heater is cute, but we don’t use a mouse anymore prefer the track pad. Yes it is cute but a great gift for someone who needs to find a unique present for someone. No not the last one, Colin wanted another calendar of the girls. Stay tuned for 2019. Such cute pic’s of girl’s.. Thanks my friend. I always think of your girl Sarah when I remember our times here with our doxies. Such a special comment Alan. Yes they played and enormous roll in our lives. 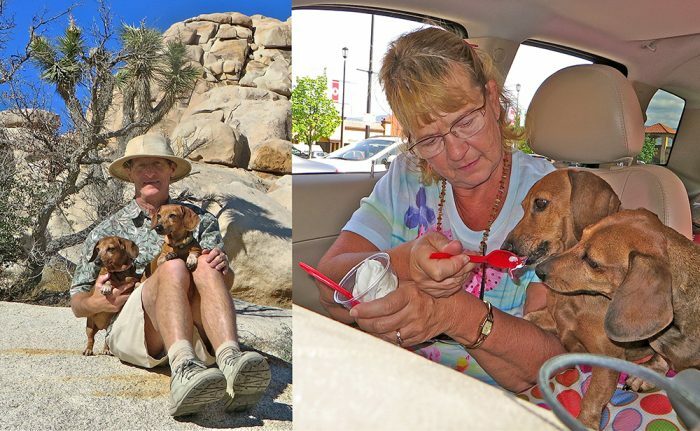 We would not be be RVing if not for our doxies.